Clubfoot (its medical name is “talipes”) is a deformity present from birth where one or both feet are rotated downward and inward. It is estimated that 50,000 – 200,000 babies worldwide are born with clubfoot each year, which makes it the most common bone and muscle related birth defect in the world. Whilst it cannot be prevented, it can be corrected. Babies may receive treatment and their feet will be corrected before they take their first steps. Despite its appearance, it is painless in infants, but if left untreated it can cause discomfort and walking will become difficult or impossible. The most effective technique to treat clubfoot is called the Ponseti method. 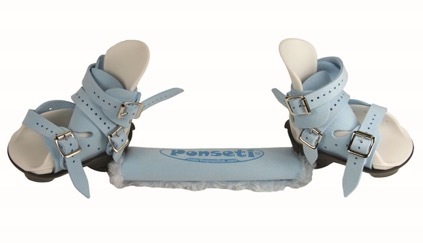 The Ponseti method is a minimally invasive technique that includes gentle manipulation of the feet followed by the application of plaster casts, a tenotomy, and temporary bracing. Manipulation and casting: the cast process last 6-8 weeks and involves gentle manipulation and stretching of the foot in order to correct the deformity. The foot is manipulated on a weekly basis, and each time it is put into a long-leg plaster cast with the knee bent to 90 degrees in order to hold the corrected position. The tenotomy: this outpatient procedure is to release the tight and shortened Achillies tendon, and can be performed under local anaesthesia (usually using numbing cream). The small operation is performed before the final cast is applied and will be kept on for 3 weeks, ensuring flexion of the foot while the tendon regrows. Bracing: bracing is essential in order to maintain the corrected position of the foot and prevent relapse of deformity because the genes that cause clubfoot may be active until a child is four years of age. As soon as the final cast is removed, the brace (commonly referred to as “boots and bars”) is to be worn 23 hours a day for three months; after that it is only worn for 11 hours a day (while the child is sleeping, including daytime naps) until they reach four years old. The Ponseti method must be started whilst the child is still young – ideally between a few days to several months old. Generally, the earlier treatment is started the easier a clubfoot is to correct. Caring for your child’s plaster cast: make sure the plaster is kept dry at all times. Change your child’s nappy frequently to avoid urine going into the cast or soiling the plaster. Your child might fuss a little when the cast is put on. This is because the skin that’s being treated by the casts is more sensitive than the rest of the baby's skin. But putting the cast on and removing it are not painful. The Ponseti method is a very specific technique; in order to gain the desired results it is extremely important that it is performed accurately. 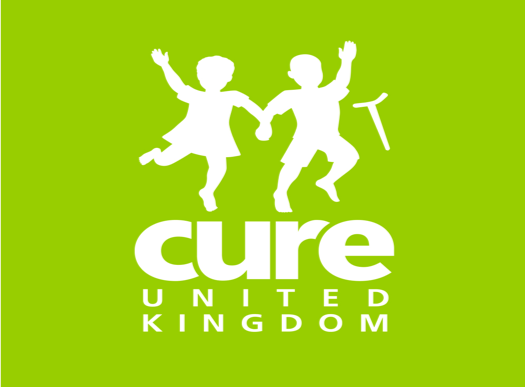 If the technique is done properly and the parents adhere to treatment, the outcomes for clubfoot correction are extremely good – research conducted over the past 50 years shows a success rate of 98% - so keep persevering with the treatment!. Your doctor may recommend an operation called an “epiphysiodesis”,(LINK TO ARTICLE ON LEG LENGTH DISCREPANCY) the aim of which is to resolve the discrepancy in the length of each leg. If your child's feet are different sizes then this will cause issues when buying shoes. Clarks Shoes can help with this issue – they operate the “Odd Shoe Scheme”, which enables you to buy a pair of shoes of different sizes (there is a surcharge of 25% for children). For further information please contact your local Clarks store or customer care on 08444 77 77 44. Are you caring for a child with clubfoot? Please help us share your experiences with other sufferers by contacting us on editor@specialneedstoday.co.uk with any tips, experiences or comments you may have. Bracing: A pair of boots and bars form part of the treatment.